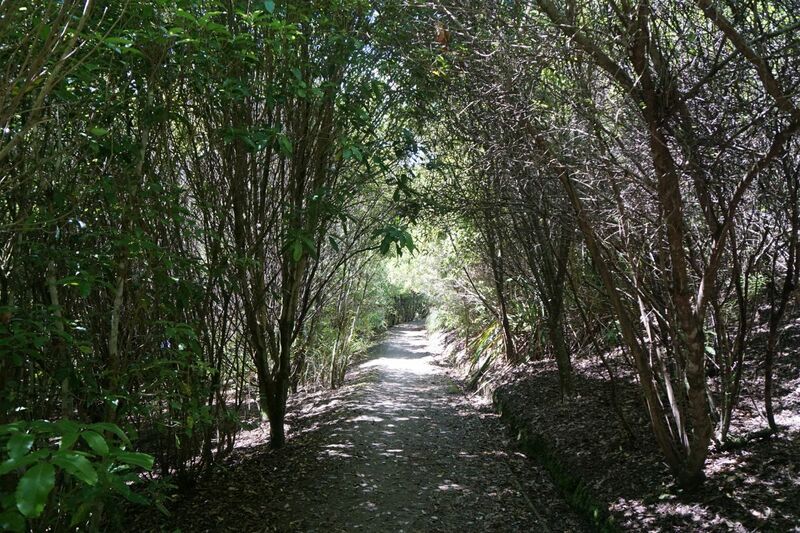 Lake Okareka Walkway is an easy walk of about 2.5 km each way alongside the edge of Lake Okareka from Acacia Road to Lake Okareka outlet. 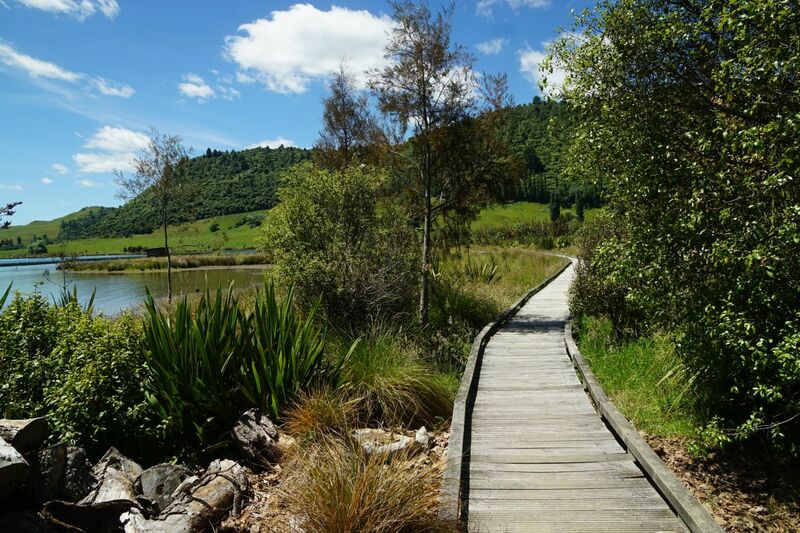 The first part of the walk consists largely of a boardwalk through wetlands, where many aquatic birds can be seen. The continuation from the end of the boardwalk to Silver Beach is along a wide, level track. 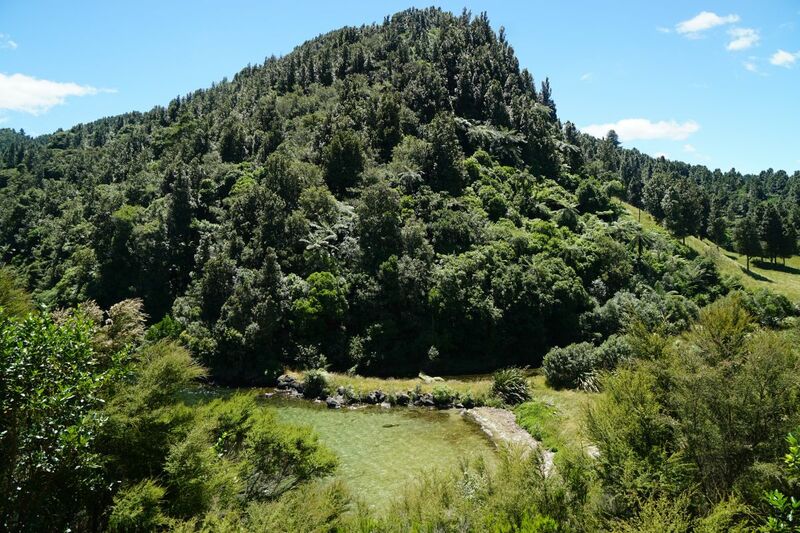 The last part from Silver Beach to the outlet is narrower, and there are steps at both ends, with the track up to about 10 metres above the lake level. Return to Acacia Road by the same track. There is a small parking area by Acacia Road at the track start, with no other facilities. However, there are toilets by the boat ramp and car park about 500 metres back along Acacia Road, and there are basic DoC toilets at Silver Beach. Bikes, dogs, and horses are not permitted on the walkway. 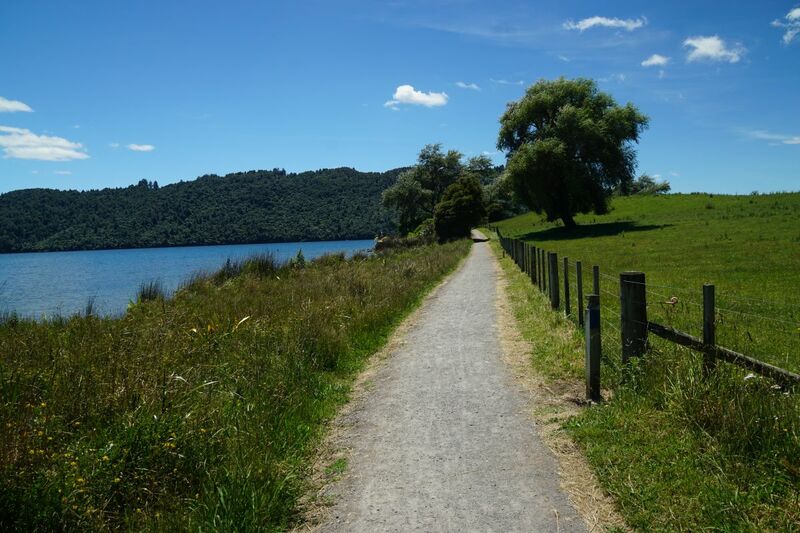 The walkway start is about 12 km by road from the centre of Rotorua, with Okareka Loop Road branching off the road to Lake Tarawera. 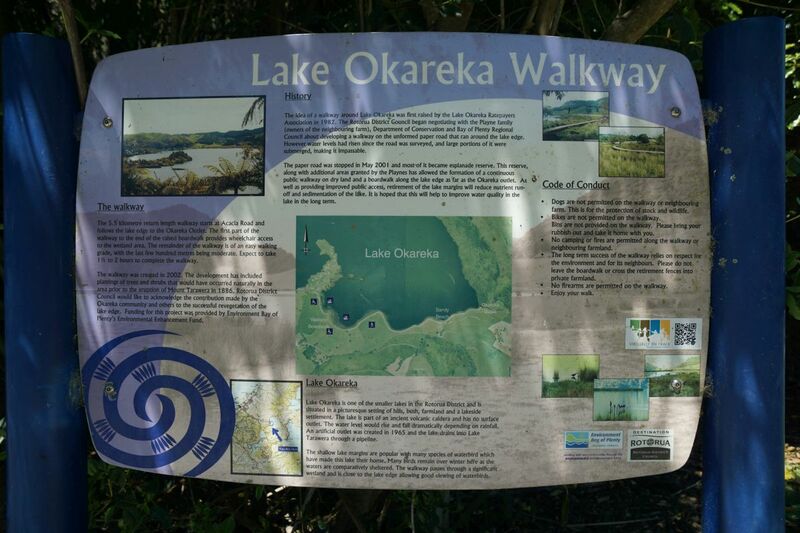 Information about the walkway is available on the Rotorua Lakes Council web site as a .pdf file. The boat ramp and parking area at the Acacia Road Reserve, about 500 metres from the start of the walkway. There are toilets at this reserve. 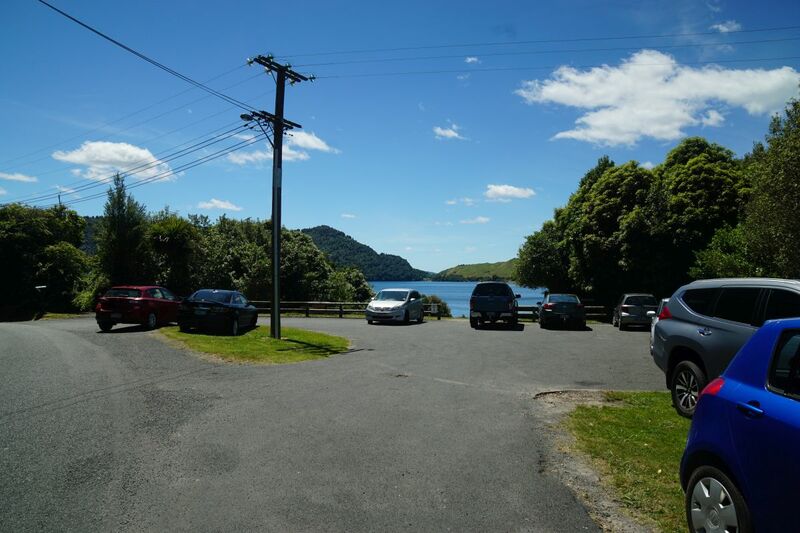 The parking area at the start of the Lake Okareka Walkway. A small lakeside reserve by the start of the walkway. Information panels are located at the start of the walkway, and in several locations along the walkway. Click on the picture to view a larger version. 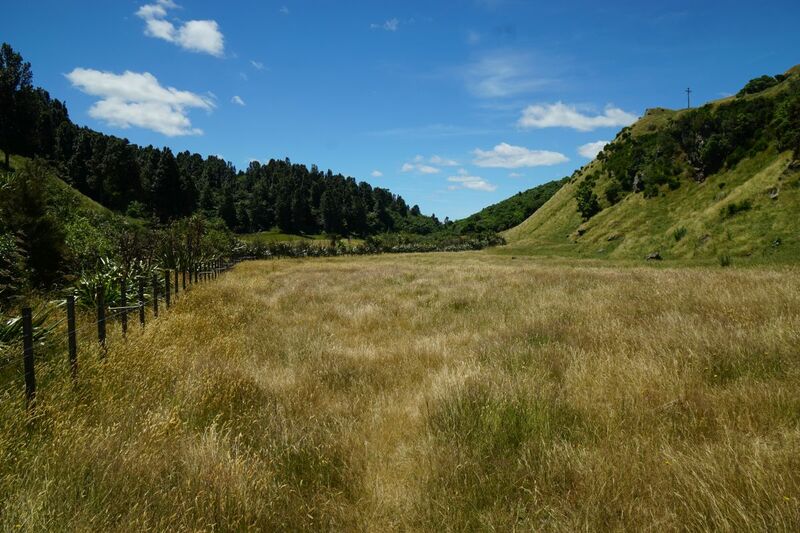 The first part of the walk passes through regenerating native vegetation. An information panel by the exit from the covered part of the walkway, and the start of the boardwalk across the wetland area. The boardwalk across the wetlands is several hundred metres long. There is a hide (at the left of the photo) next to the boardwalk for birdwatching, but many of the aquatic birds can be seen from the track. Information panels by the boardwalk, with a short walk to the hide at far right. After the end of the boardwalk the walkway continues as a wide, well-formed track. A small Remembrance Grove is location alongside the walkway. 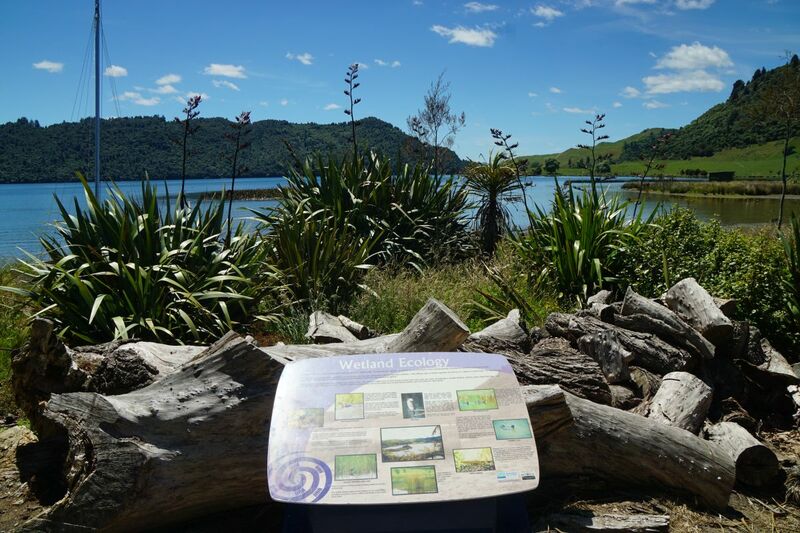 Various trees have been planted in remembrance of people with special relationships to Lake Okareka. 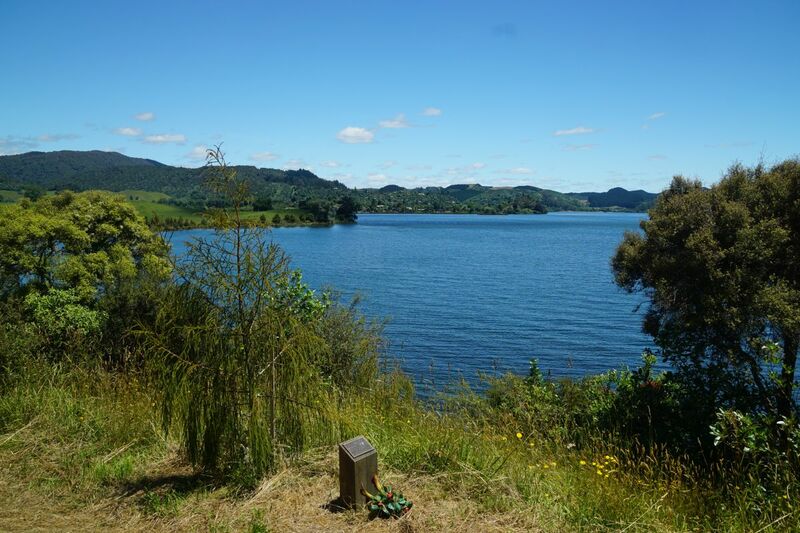 Here a small Rimu tree with a plaque, looking down across the lake. Silver Beach is a popular destination for boaties. There were numerous boats, jetskis, and other watercraft at the beach, and several families with children. 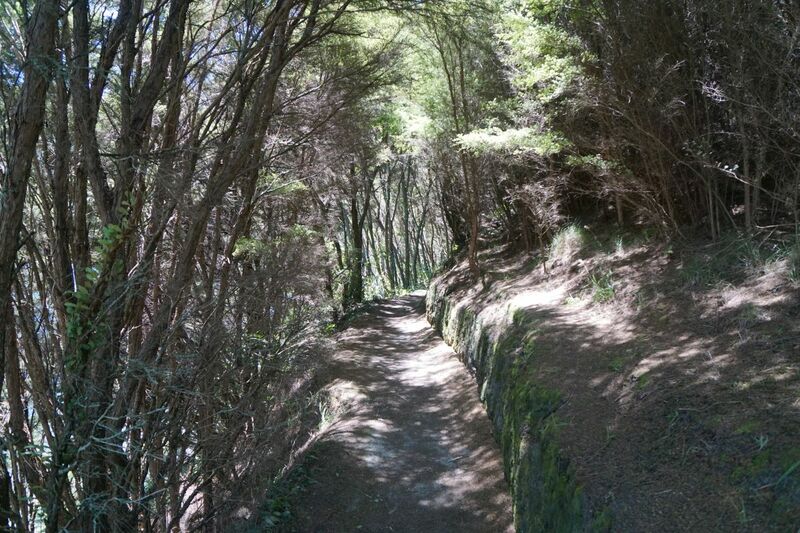 The walkway from Silver Beach to the lake outlet has steps at both ends, with the track located up to about 10 metres above the lake level. 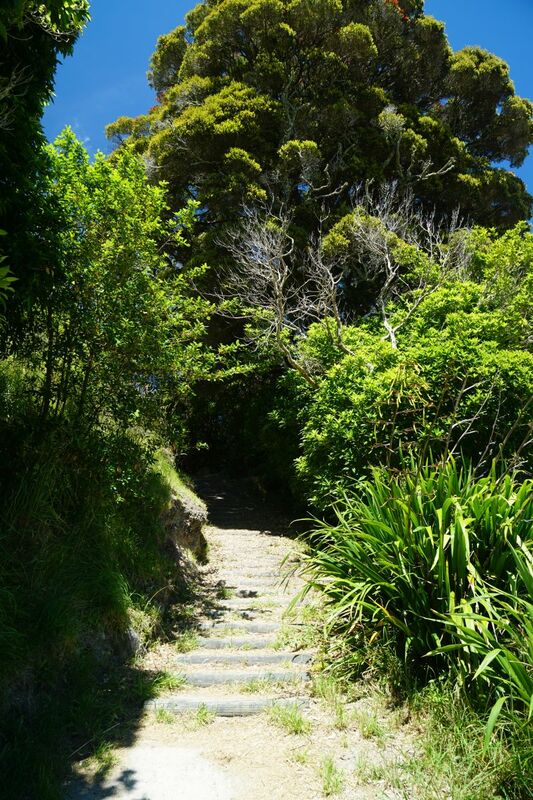 Here the steps leading from Silver Beach. Looking down on Silver Beach from the track to the lake outlet. The track between Silver Beach and the outlet is slightly narrower, but still well formed and an easy walk. 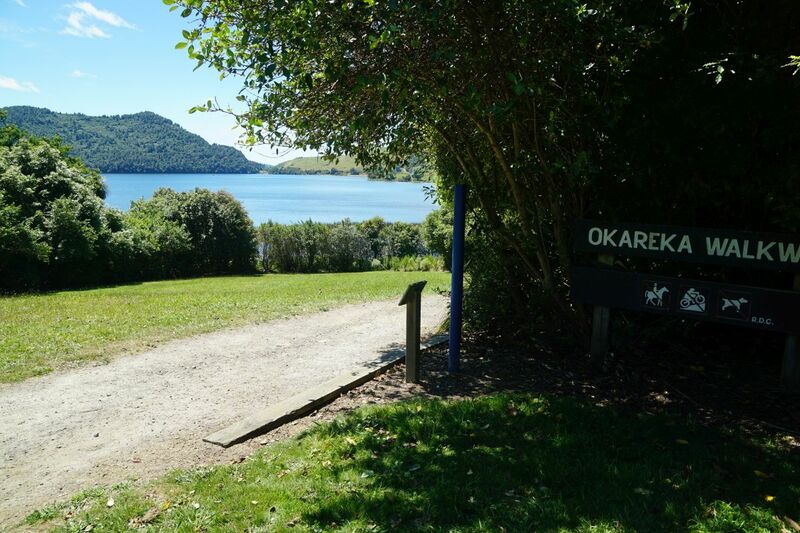 Looking down to the Lake Okareka outlet, at the foot of the hill, from a small rest area with bench by the track, just before reaching the steps leading down to the outlet. 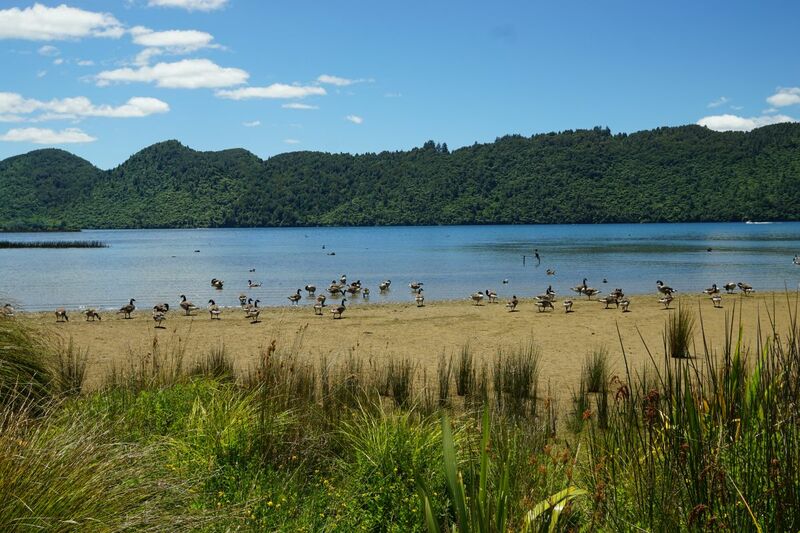 Originally the only outlet from Lake Okareka was through seepage to Lake Tarawera, so the lake level varied considerably depending on rainfall. 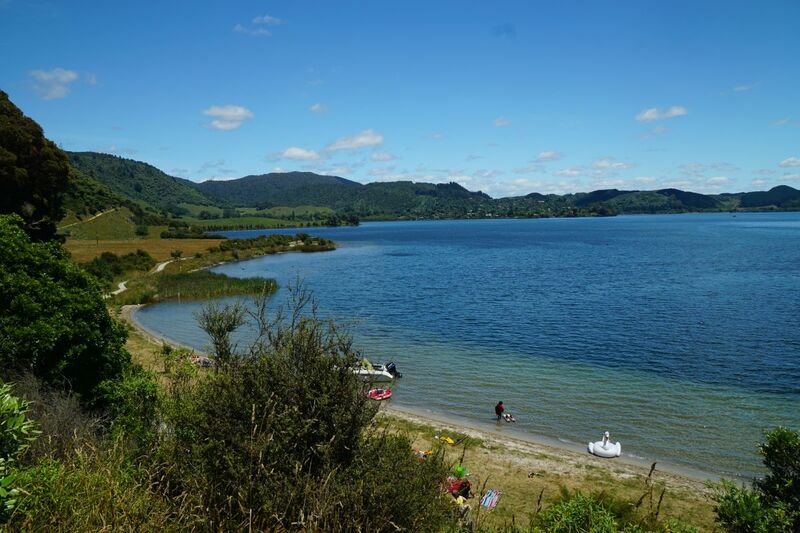 In 1965 the artificial outlet was constructed to drain the lake into Lake Tarawera through a pipeline. 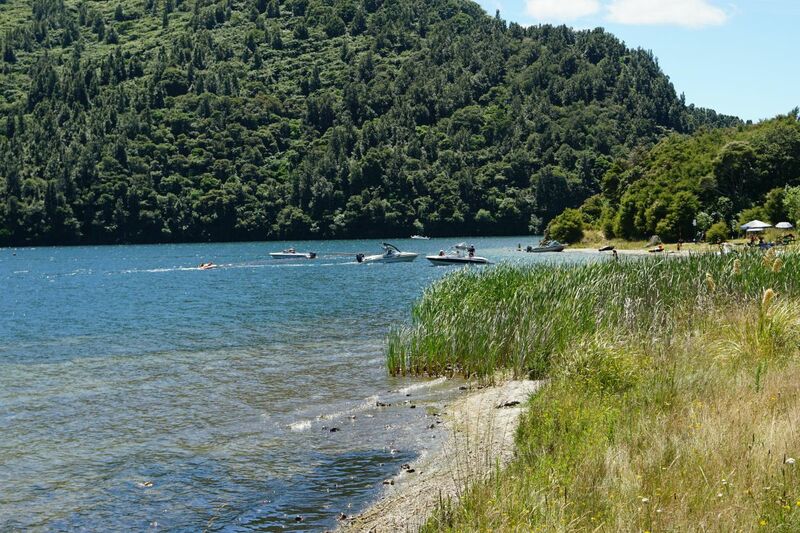 The outlet runs down the valley towards Lake Tarawera. Many aquatic and other birds can be observed along the walkway. 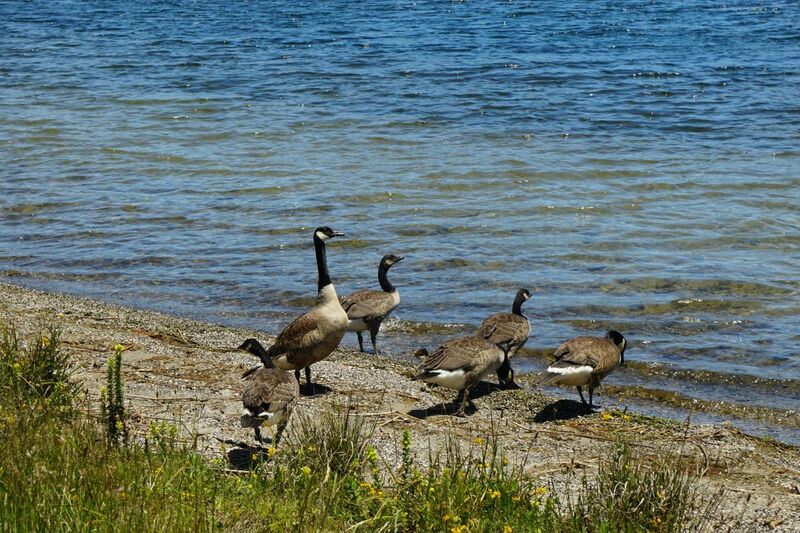 Here a protective mother goose with 5 offspring, almost fully grown. 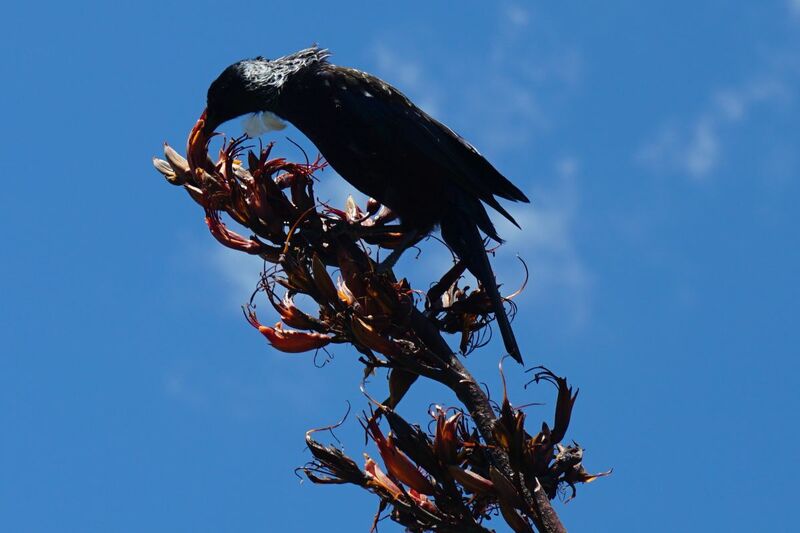 With flax bushes still flowering there were tui and bellbird feasting on the nectar. 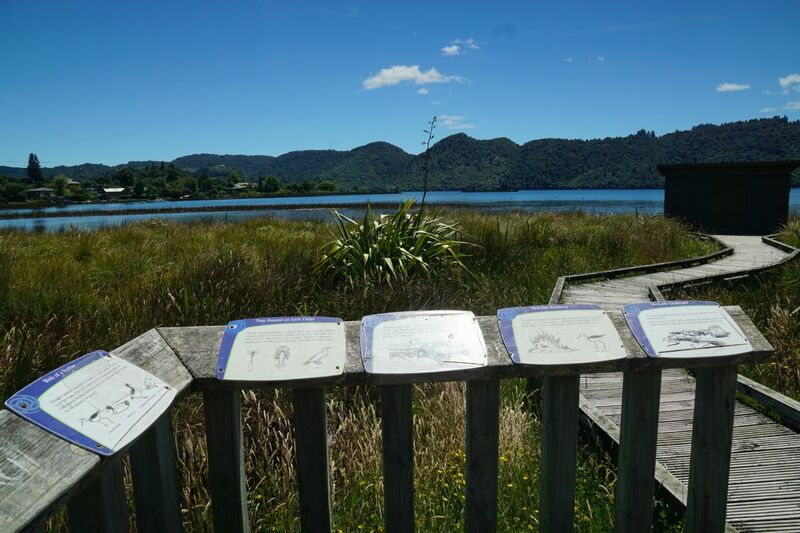 A variety of aquatic birds alongside the wetland area and boardwalk. 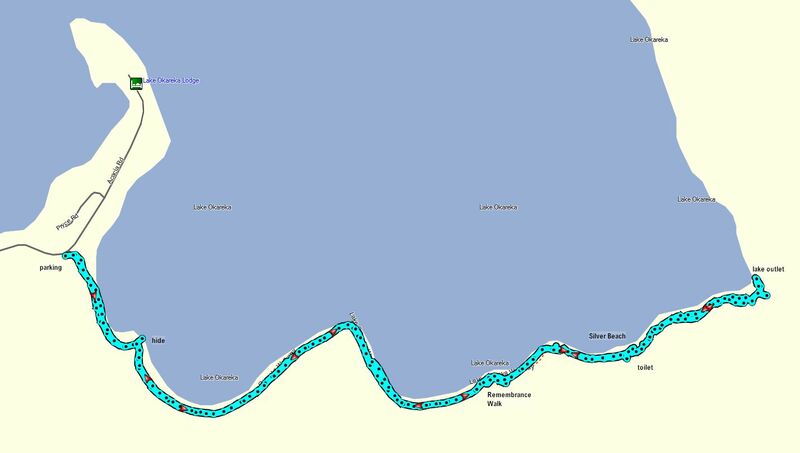 The GPS tracklog shows the route followed, and the location of some places of interest along the way. The start of the track at Acacia Road is at the far left, the lake outlet at the far right. Total distance walked was 5.6 km and a total time of 1 hour 30 minutes, including plenty of time for taking photos. 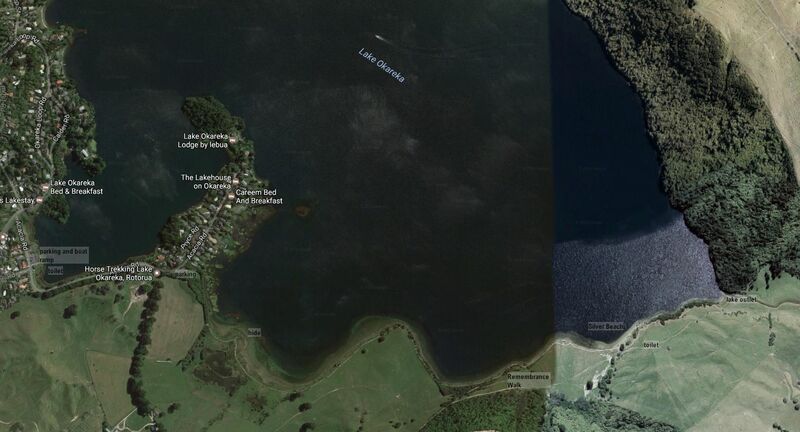 The aerial photo from Google Maps shows a slightly larger area, including the boat ramp and parking area about 500m from the start of the walkway. 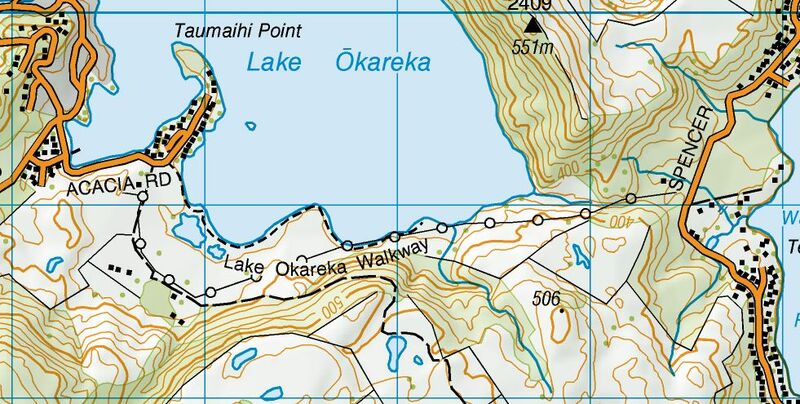 The topographic map excerpt shows a larger area, where the distance between Lake Okareka and Lake Tarawera can be seen. The track was walked on January 5, 2017. 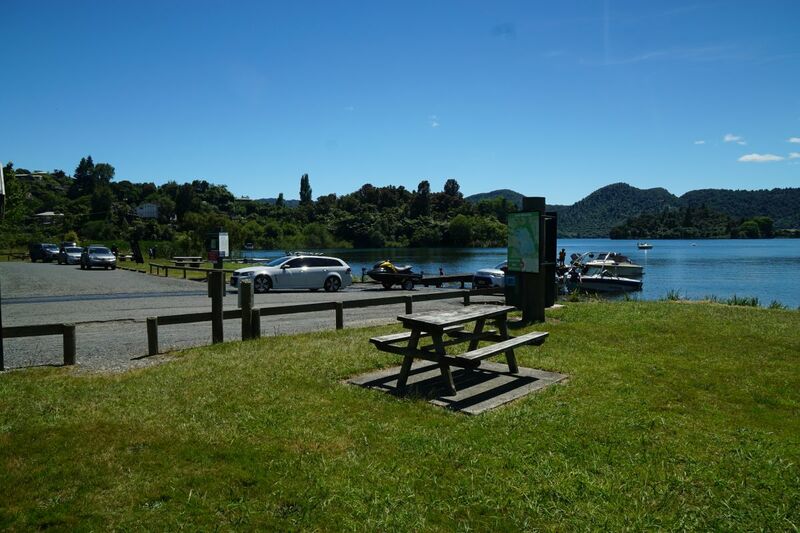 This entry was posted in Walks and tagged Lake Okareka, Lake Tarawera, Rotorua on 2017-01-05 by nzartig. This is a really good post about the walkway, we’ve just walked it and I plan to write about also. Looking through your photos was like walking the track again, and it was good to see it on a sunny day as opposed to overcast when we walked it. Thank you Rachael. Great to hear that you also enjoyed the walk.